This quilt turned out perfectly for our daybed. The quilting lines are slightly wavy and unevenly spaced, which was a somewhat intentional effect but also partly expedience. But, the backing fabrics are two wavy lined prints that echo the quilting lines very nicely–so my laziness paid off! I really love the orange binding. This entry was posted in quilts on March 27, 2014 by brigitdermott. I am at a quilt retreat right now and am heading to the fabric store tomorrow. 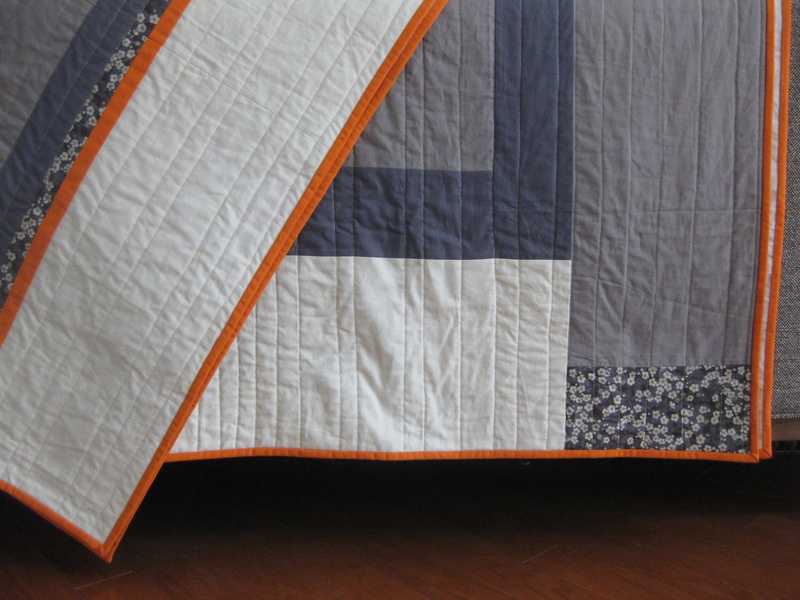 I really want to make this quilt using browns with a blue for my daybed…. any chance you have a pattern or steps you took to make it? I love it!! Thanks so much for your comment. I just made it up as I went, but the design is really simple. I’ll do a quick post with the steps so you can make your own version! I’d love to see your finished quilt! 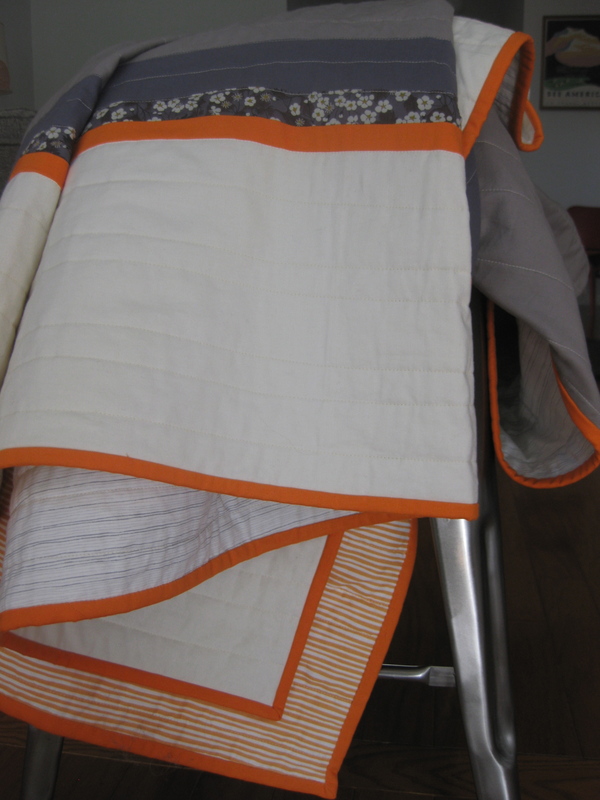 Love the orange too…I also loved all your finished quilts-simple and modern is my favorite! The binding brightness up the quilt. Great quilting! Thanks! A little bright color was needed with a that gray! I agree – the orange binding is great! The finished quilt looks wonderful – congratulations!